It’s not true. The sun does shine in Scunthorpe! With the Agility outdoor season well and truly started, The Animal Health Co Classic competition headed north for our annual view of the illuminated Humber Bridge. 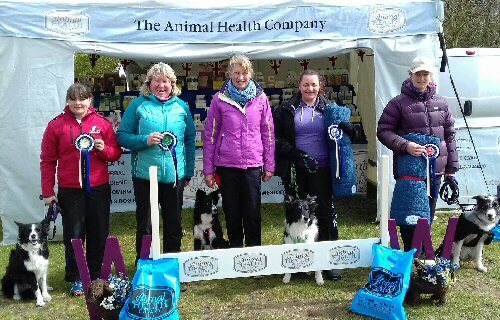 Judge Carol Stapley officiated today for the opening round of the Animal Health Company Classic 2019 and looks like the Collies cleaned up today. Unfortunately Smooth Criminal didn’t make the photo call. Keeping the East is East theme we travel to the Ashfields Carriage and Polo Club in Essex where heat 2 of the Animal Health Company Classic will see us find our next five qualifiers for the 2019 final. 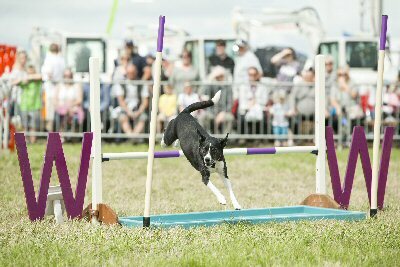 The Animal Health Company is delighted to announce that it will be continuing it's Agility competition, The Animal Health Company Classic, which will welcome all sizes of Agility dogs in a steeplechase style course that features the Westcotts Water Jump! There will be qualifiers across the country in 2019 with the top five from each heat qualifying for the Final in the autumn. They will be competing for a share of the £100 prize money. The Animal Health Company offers a range of products that will be ideal for the Agility dog including their new food, Westcotts. Unique to the market, it contains HypercCoat Prime our popular supplement. Westcotts it is formulated with high levels of chicken and rice, is hypoallergenic, pro biotic and has no added flavourings or preservatives produced from quality ingredients helping dogs with a sensitive palate. The Animal Health Company website http://www.animal-health.co.uk has all the details.